I was wondering, what made you choose the Acura RDX rather than a newer Ford Edge? The Edge is coming out with a performance oriented model, the ST, some time later this year. At one point I had the Edge ST and the new 2019 RDX on my short list for a new vehicle for later this year or early next year. 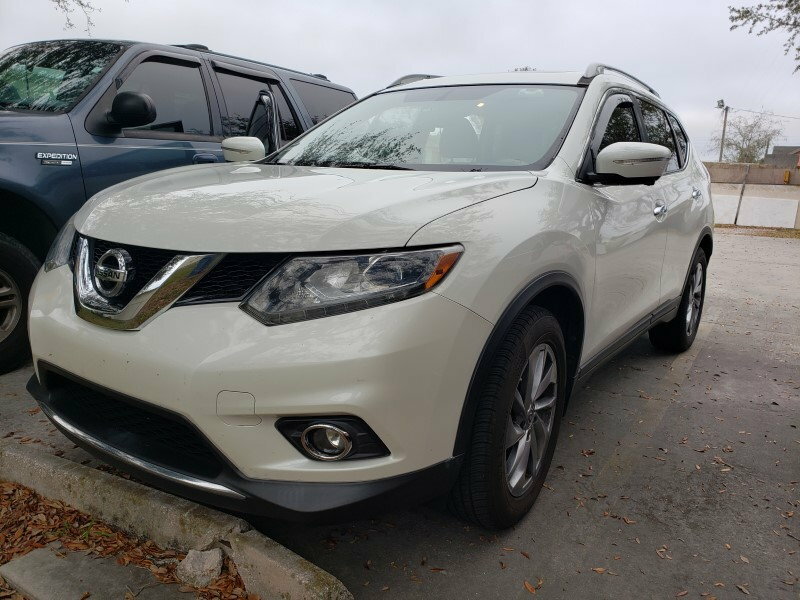 But that was before we found ourselves in a position where we needed to get a new vehicle back in February, when we bought our 2018 RDX. I liked my Ford a lot. I felt like the tech was a little ahead of it's time in 2011. Getting close to retirement and wanted to sell the Edge while it still had good value and buy something with a reputation for reliability. It's very possible I'll be driving this one for quite a while. So far, I'm thrilled with this choice although it's only been a week. 2018 RDX Tech just replaced our 2014 ILX. Got a great deal on the RDX, too. Replaced my '04 Lexus RX330 with the '18 Acura RDX. Lexus was getting quite old and had the wear that you would expect from a 14 year old car. 2004 Subaru Forester XT 5 speed manual. 2003 BMW 330xi. Hit the 150k mile mark and had to dump it. Sort of a sad story - I purchased a 2016 Impala on Black Friday last year from CarMax (I work for them). It was totalled on February 10th on I-85 just south of Greenville, SC (truck spun out coming on the highway and over corrected and I hit him in the side - no injuries). Bought the RDX exactly a month later - love it so far other than the two random check engine light issues it has had in the month I have had it. Interesting you didn't buy something else from CarMax. Just assuming as an employee you have access to special employee pricing. I drove three or four different vehicles (Infiniti Q50, Mazda 6, Toyota RAV4), and honestly the RDX pretty much snuck up on me. My wife wanted me to get an SUV, so I did. Love how comfortable it is. We do get an employee discount, but it did not really impact my choice too much. Traded in my 2011 Honda CR-V EX for a new 2017 RDX Tech pkg. I could have put a lot more miles on the CR-V (only 90k at trade-in) but I was itching for an RDX. Traded my 2016 RDX - Tech (Diamond White/ black) with only 26,000 km (16,000 miles) for a 2018 RDX - Tech (Diamond White/ Parchment). A/S floor mats/ cargo tray/ cargo cover/ cargo net/ interior wood trim/ lower door chrome trim. I have not warmed up to the new 2019 RDX and that may take awhile if at all, so decided to get the last year RDX with the silk smooth V-6. My 2015 Acura RDX Tech Package AWD, Kona Brown Metallic with Dealer-Tinted Front Windows, Tan Leather Interior replaced my 2013 Honda Accord Sport Sedan in Graphite Grey with Black Cloth Interior. 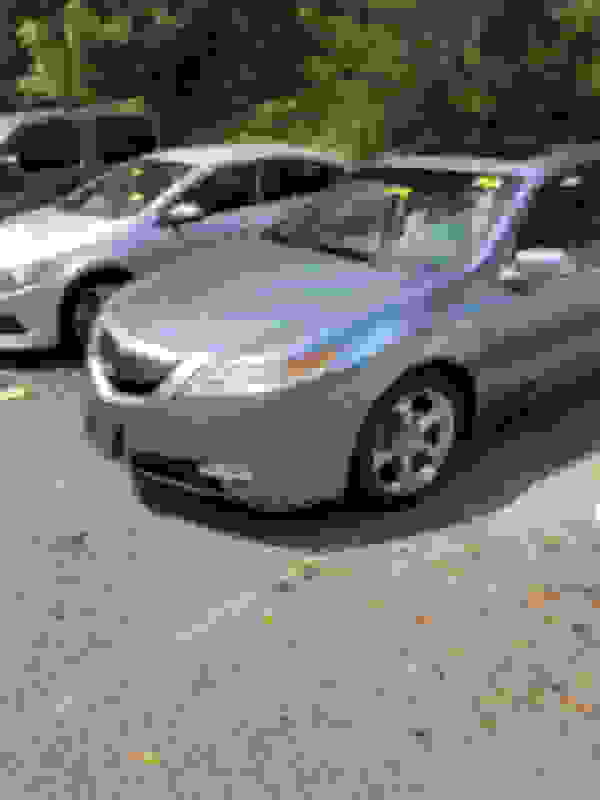 2009 Accord Coupe 3.5L 6MT. First baby is due any day so I had to get something more practical. 2011 BMW 3 Series sedan. Went with a CPO 2017 FWD Advance with 10k miles - first kid on the way! I sold my 2011 CRV EX-L with 34,000 miles on it to my brother. Got the CPO 2016 RDX Advance. Love the extra space, comfort and safety features. Last edited by wsw; 03-21-2019 at 06:04 PM. Audi allroad, 2004, 4.2 liter. Good riddance! Traded two cars for a certified 2016 RDX. Audi was a very nice, comfortable, powerful car, but catastrophically unreliable. At 158,000 miles it had cost nearly $9,000 in parts alone! Needed at least $1,500 to be right at time of trade in. Good riddance! Other trade was my wife's 2005 Accord. At 260,000 miles it cost about $75 in parts (excluding normal wear parts like rotors & pads). She uses my ultra reliable 2006 Accord with almost 270,000 miles. New control arms at 250,000 due to the awful Pennsylvania roads, and a $350 SRS control module. Love the RDX, base model. Not interested in the bells & whistles of the tech/advance versions. An S-vcm module is on the way, the subtle vibrations from that system are annoying. Audi was a very nice, comfortable, powerful car, but catastrophically unreliable. Exactly why I passed on a Porsche Macan, BMW X3 and BMW 328d Touring as a daily driver. Short term, I am sure they are great, but I tend to keep my daily drivers for 15 years. Plus I really did not want the "status" aspect of those as a daily driver. New 3-28-19: "Was" looking for 2016-2018 RDX w/Advance Pkg. After reading most post on the VCM issues and Premium Fuel, am now looking for a ultra low mileage 2015 RX 350. Wanted to look at 2018 RX350 for my wife; but, her impression/description of the car is that the front of the 2016 and later look like "A open mouth Whale approaching". Both of us love the 2016-2018 RDX Appearance Inside and Out. What is it with Honda/Acura not giving the owner the option of turning VCM Off? Further, with experience of useless performance of the GMC V8 engine version of VCM, I prefer not buying in to another. Here in the south on a hot summer day when the A/C cycles or you attempt an incline the GMC, even with the V8 engine, the VCM deactivates - A Total Waste of Engineering effort. It is really easy to use one of several products to "muzzle" the VCM. This V-6 with VCM is used in several Honda models. The Muzzlers plug in between one of the coolant sensors and the engine management computer, fooling it into never activating VCM. Many have in use for years on Honda Odysseys, for instance, without issue. There is a thread here about the S-VCM unit, that has some links to others. The premium fuel is recommended, not required. Thanks egads. We like the RDX so much we just may try the contra-vcm device. Wanted to look at 2018 RX350 for my wife; but, her impression/description of the car is that the front of the 2016 and later look like "A open mouth Whale approaching". My feelings exactly since I looked at them as well as the NX200 which unfortunately is a turbo. Same thoughts about the open mouth Audi vehicles. I would have liked the Lexus since they are a quality car, but the styling was a no-go. My friend is a life long Lexus guy and he hates the newer body style of them. Our new to us 2016 Tech came about because the Honda Insight my wife was driving got totaled by an undercover police officer running a red light. That thing was such a dog it probably saved her with its hesitation off the line. The cop, in an SUV, only hit the left front. Dang thing was drivable and indeed did drive to the body shop. The whole front was shifted enough that repair was expensive compared to what the old 2010 Insight was worth. Now we were looking at a newer car for vacations as the Honda Odyssey I drive is very long in the tooth and pretty beat up. That was the vehicle to replace, but fate intervened. Why an RDX? Well, just before she bought the Insight, we had been looking at CRVs and that would have been the best vehicle for her. But she kind of wanted a hybrid. The Insight seemed nicer than it turned out to be. Just not quiet and comfortable enough for folks of a certain age... The RDX of this vintage is just the nicest CRV ever got. This will be our 9th Honda. 2012 BMW 550i w/ Dinan Stage II Tune. Love/hate relationship with the BMW. It was a big, heavy car but with 500 hp it moved out quite well. A comfortable grand touring cruiser but not at all agile and not at all what I would call a drivers car. Probably the most structurally solid feeling car I have ever owned. But then the N63TU engine debacle hit. Then the $500 dealer only battery that needed replacement @ 2.5 years. The run flat tires were close to used up and at the time in the $1500-2000 out the door to replace. Plus, I was approaching retirement and needed something that was much more versatile than a sedan, more reliable than the BMW and wouldn't cost an arm and a leg to maintain and repair. So far, with 40k miles on my 2016 I've been very happy with the choice to go with the RDX. Only trip back to the dealer so far has been to have the battery replaced under warranty last fall. Since I purchased the RDX I have indeed retired and moved into a new house so many trips to Home Depot. I've been surprised with just how much junk I can stuff into the thing with the rear seat and passenger seat folded down. I love the V6 and for whatever reason I manage to get phenomenal fuel economy out of it. I did replace all 4 tires at about 25k miles when I had an unrepairable puncture on one tire but that only ran me $660 out the door for 4 new Pirelli's. And the windshield needs replaced but I've lived with that for a year now so the big crack isn't really noticeable to me anymore. While I get the urge to upgrade it with something else from time to time it has been such a great vehicle so far I quickly come to my senses and think I will hang on to it for a few more years. Might even get the windshield replaced sometime. My wife and I replaced our '16 ILX with a CPO '18 black on black RDX Tech Pkg. We are really happy with it so far and with a new family member on the way in about a month, we're sure that it'll be able to carry all the baby accessories better than the ILX. My favorite part about the RDX is that it came with a hitch, which I believe was dealer installed. Now I can attached a bike rack in the back or tow minor stuff if need. Last September I got a CPO 2015 RDX AWD Tech to replace my 2006 Volvo V70. Really a bittersweet purchase because I had bought the Volvo new and was approaching 200K miles, but there were getting to be too many gremlins for a daily driver. Sometimes I have to give it some throttle to remind myself how much the power swayed my choice of the RDX over the Outback, because it does feel like a compromise at times. But finally "bonding" with the RDX and I think that will improve further once I make a decision on how to haul multiple bikes... i.e. do I get a hitch installed or roof rails/crossbars? I had the roof rack on the Volvo, so that was my first thought but I know it's actually not quite as pricey going for the hitch setup. Just purchased a 2017 CPO RDX advanced, replaced my 2007 CRV with 182,000 miles.